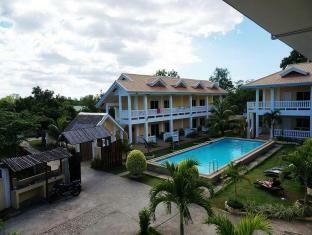 Bohol is an island province located east of Cebu in Central Visayas. 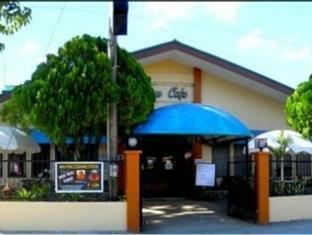 The capital of the province is Tagbilaran City, which lies southwest of the island. 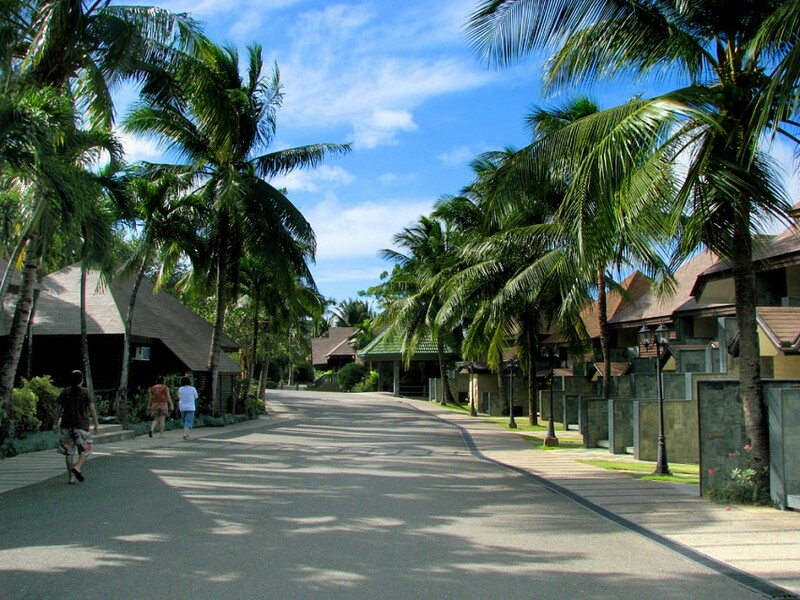 Bohol has 47 municipalities, and has an estimated total population of over 1,255,000 residents. 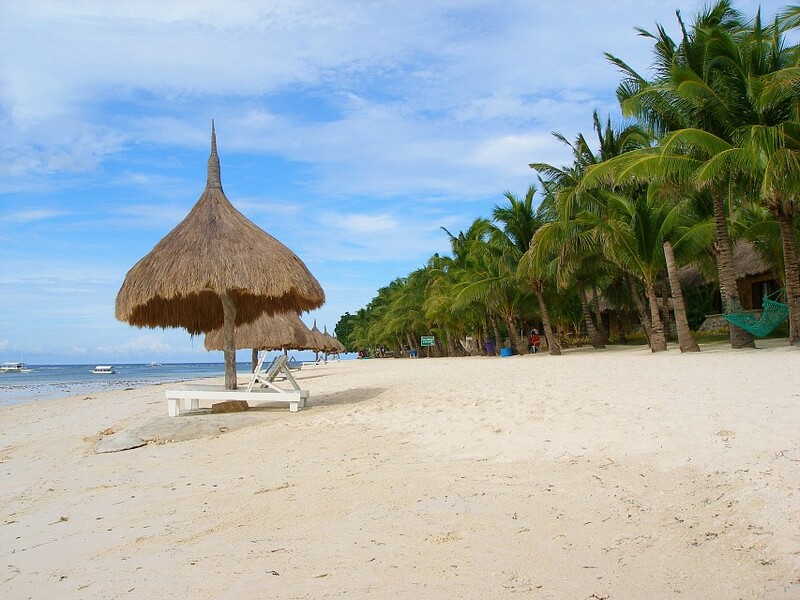 It is recognized as one of the most frequented summer destination in the Philippines due to its white sand beaches and resorts. 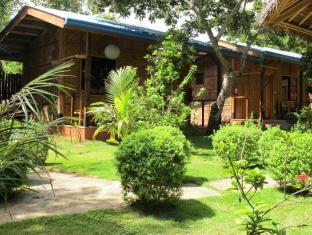 It is also popular around the world for its naturally formed Chocolate Hills and its extraordinary diverse wildlife. The province was occupied by several foreigners throughout the years. The earliest occupation was during the Spanish colonial period in which Miguel Lopez de Legazpi arrived in Bohol, searching for gold and spices. Even though there was a peace pact between Legazpi and Datu Sikatuna in 1565, there were still major revolts during the Spanish era. The U.S. eventually intervened against the colonization of the Spaniards and occupied the Philippines for quite some time. During World War II, Japanese forces also occupied the province, but it was eventually liberated a few years later. In 2013, Bohol and its neighboring islands were hit by a severe earthquake with a 7.2 magnitude. The natural disaster was considered the deadliest earthquake in the Philippines since 1990. Several historical landmarks were destroyed during that day. The famous Chocolate Hills is the main tourist attraction of Bohol. 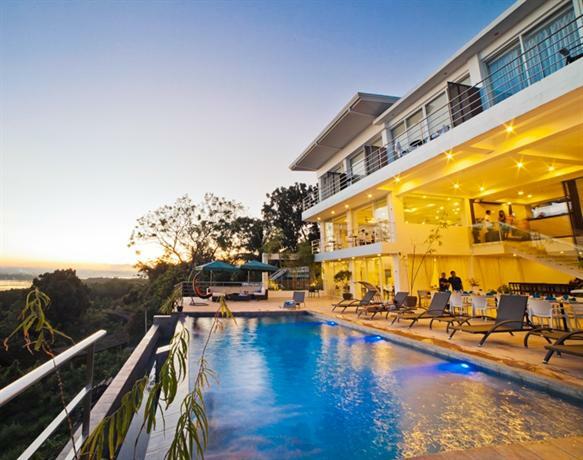 The hills are situated in Carmen, which is about 37 miles from Tagbilaran City. The magnificent landscape can be viewed from a resort, operated by the local government. Formally known as the ‘Church of Our Lady of the Immaculate Conception’, this historical landmark is one of the Philippine's greatest monuments. The church has a small museum showcasing old photographs and relics from the early 16th century. 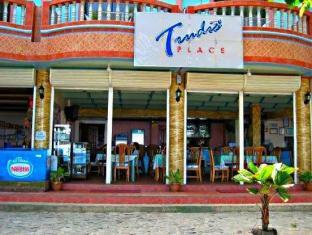 The structure has a Spanish colonial architectural design dating back to 1595. Another historic Spanish-period church, the Saint Peter the Apostle Parish is the second oldest church in Bohol. The church houses antique religious artifacts and old statues of saints. 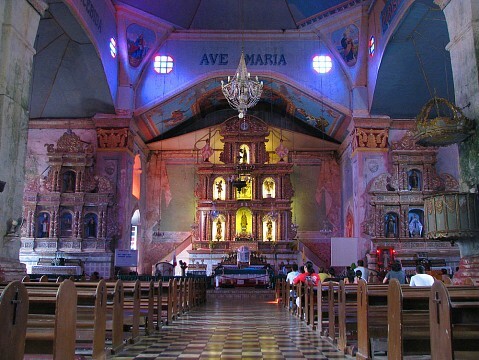 The Museo de Loboc can also be found on the church’s third floor. Tinikling - The bamboo pole dance - Bohol. Photo by shankar s.
Tourists are able to see Loboc River while feasting on local flavors aboard floating restaurants. The river cruise lasts for about an hour and ends with a view of the Busay Falls. Entertainers are also on board, serenading diners with their songs - which might not appeal to everyone. 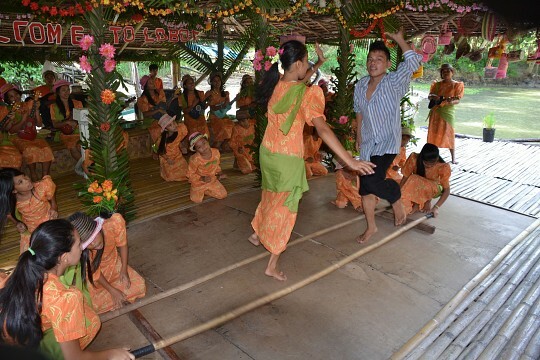 There will also be stops at certain huts where locals can be seen dancing in native dresses. 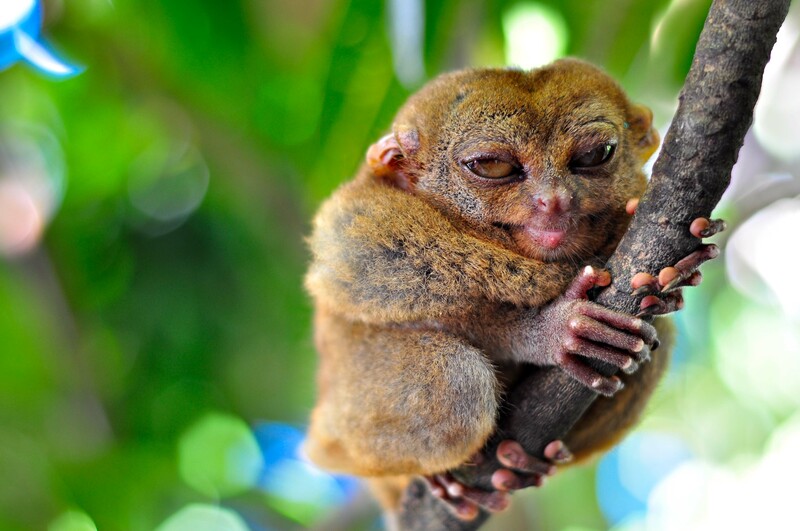 Situated in Loboc, tourists can now observe Tarsiers , the smallest primate in the world and an endangered species, in their natural habitat. The sanctuary is operated by the local government, where they make sure that these small primates are properly cared for and are protected from extinction. The monument was built to honor the blood compact between Datu Sikatuna and Spanish Explorer, Miguel Lopez de Legazpi. 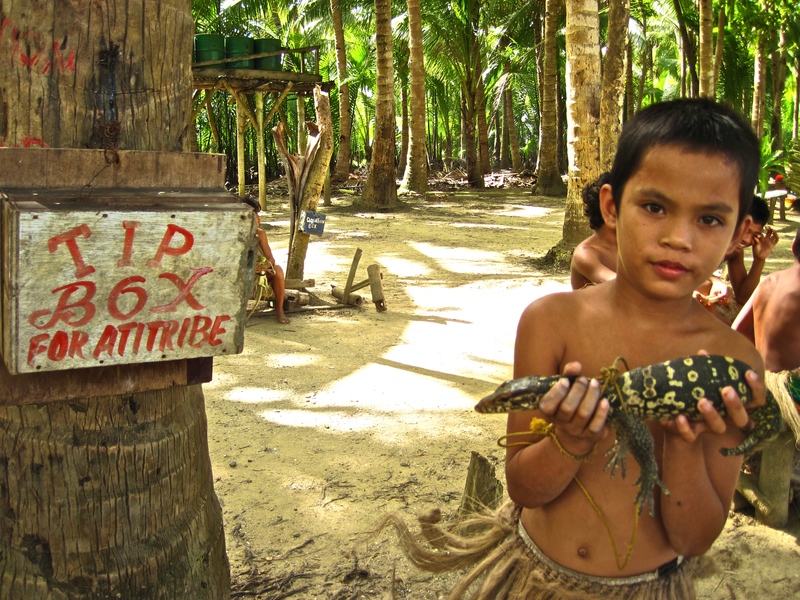 The “sandugo” was the first friendship treaty ever established between Filipinos and Spaniards in 1565. When travelling around the city, the tricycle is the most common mode of transportation. Tricycles are best for traveling short distances, but they can also be hired to take you to any point in the city. Some tricycles can also take tourists to Panglao Island and Baclayon (rates depend on the agreed-upon price, but is usually over ₱100 ($2.20)). Taxis are also available on rare occasions around the city, they can be seen most of the time at the port, waiting for passengers. Tourists who want to visit different towns within the province can take a bus or jeepney ride. 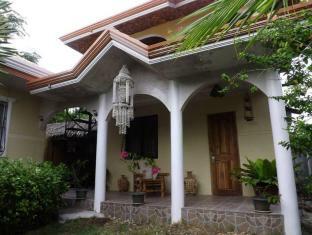 Private car rentals are also available, the rates are usually around ₱1,500 ($33) to ₱2,500 ($55). 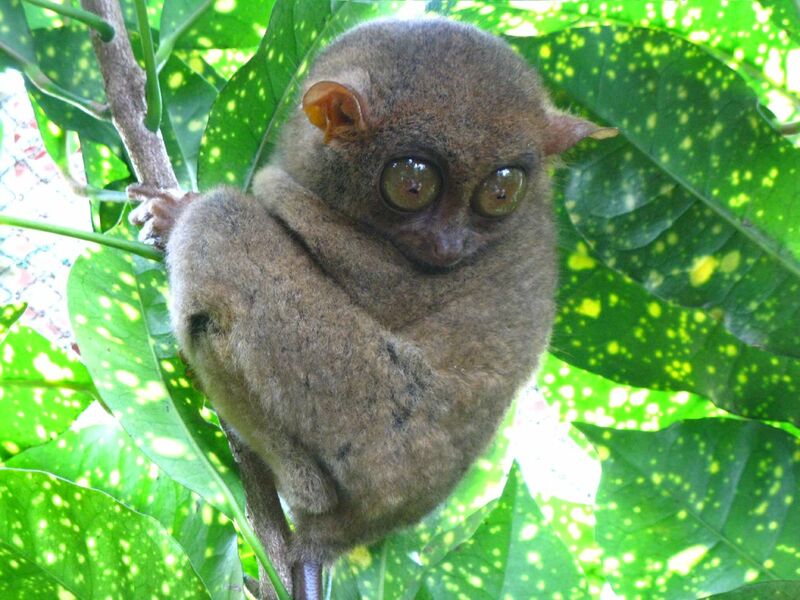 In most situations, tourists are just advised to join a group tour in order to see all the attractions in Bohol without any hassles. From Manila, tourists can take a plane ride directly to Tagbilaran City. 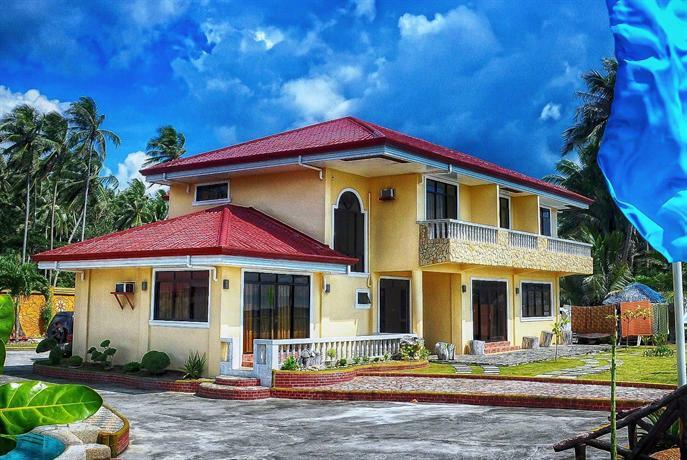 The travel time takes about an hour and 15 minutes, and there are several airlines like Cebu Pacific and Philippine Airlines that offers direct flights to Bohol. If you are already in Cebu City, Bohol is easily accessible by fast ferry in both Pier 1 (OceanJet) and Pier 4 (SuperCat). Boats departing to the island are available every hour. If you are unable to get a flight directly from Manila, you can catch a flight to Cebu instead. Upon arriving in the airport, you can get a taxi to Pier 1 or 4. The travel time from the airport to the pier is about 30 minutes. 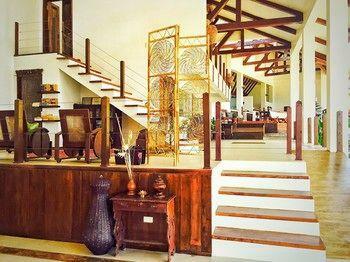 Bohol has a lot to offer to foodies all over the world when it comes to dining experiences. 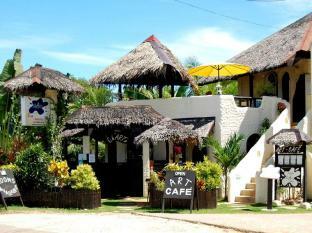 One of the hottest restaurants in Bohol which serves the best seafood cuisines is JJ’s Seafood Village. The Prawn Farm Restaurant inside Island City Mall is also a must-visit, fine dining restaurant. Golden Cowrie, which is a local restaurant franchise, has always impressed foreigners with their tasty renditions of Filipino cuisines at very reasonable prices. 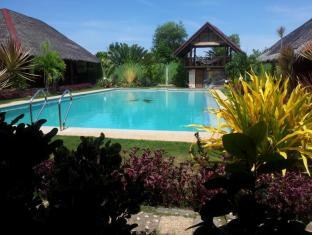 Bohol has a myriad of hotels and accommodations, ranging from budget inns to luxurious resorts and spas. 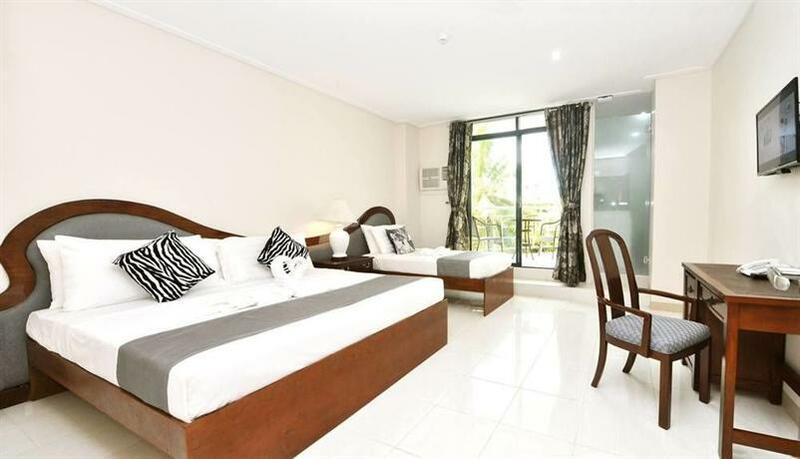 When staying in Tagbilaran City, several options such as the Metrocentre Hotel and the Bohol La Roca comes to mind. 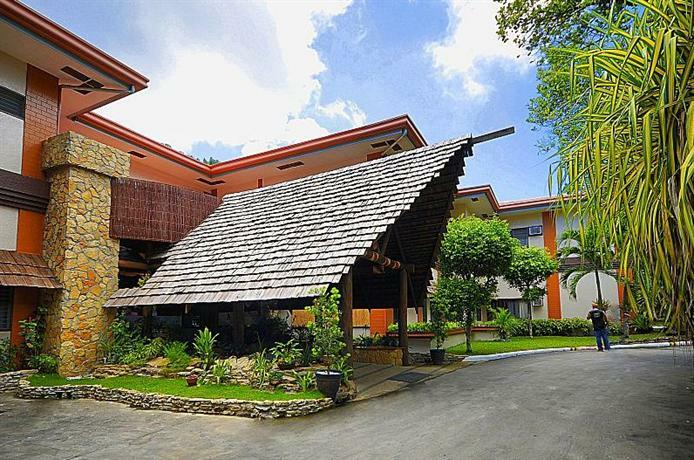 The beautiful municipality of Anda (which is about two hours away from Tagbilaran) has wonderful beaches and several resorts such as the Amun ini Resort and Cocowhite Beach Resort. 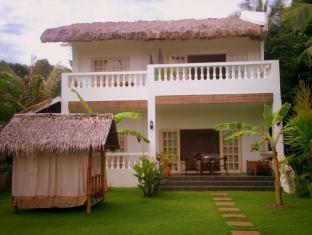 Most luxury resorts in the province are mostly concentrated along Alona Beach in Panglao Island.